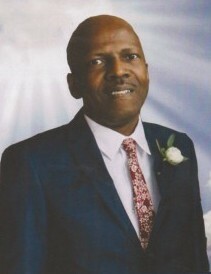 God has added another flower to his garden, Mr Thomas Ricks, Jr. He met the ultimate challenge and passed to a more peaceful and serene world on November 18, 2018. Tommy was fiercely independent, but yet a humble and loyal individual. He always exemplified a quiet, unassuming manner with soft dignity and compassion. Tommy was born in Rocky Mount, North Carolina on March 29, 1961. His parents were the late Thomas Meachum and Carrie Williams Ricks. He was education in the Nash County School System, knowing the importance of education, he furthered his by attending the University of North Carolina at Chapel Hill. He leaves to cherish unforgettable memories: The matriarch of the Ricks family, Aunt Lucy Ricks; a son, Robbie White (Bethany) of Knoxville, TN; two sisters, Bonnie Yelverton(Thurman) of Wake Forest, NC, and Odessa Whitehead of Rocky Mount, NC; three brothers, Phillip (Vivian) and James (Louise) of Rocky Mount, NC and Harold of Pemberton, NJ; one granddaughter, Brynn White of Knoxville, TN and a host of nieces, nephews, other relatives and friends.